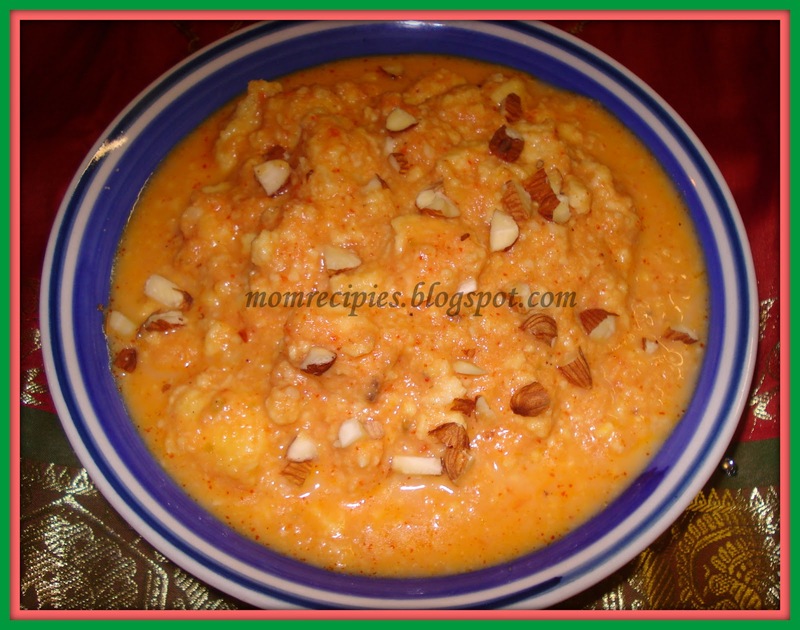 Nawabi Paneer Curry is one of the most delicious and and yummy recipe. For parties and get together we can prepare this dish in the main course as it is a rich dish. Fry cashew nuts for 1 minute and grind it along with dessicated coconut with little milk. Grind the onions in mixer. Blanch the tomatoes and puree them. Fry the paneer in little oil for a minute or till they turn golden brown. Add curd to it(entire paneer should be coated well). In a non stick pan, take some oil. Add the onion paste and fry for 2 minutes. Add the ginger -garlic paste, green chillies paste fry for a minute then add tomato puree fry for 5 minutes till oil oozes out or till oil comes up. Then Add the red chilli powder, coriander powder, cumin powder, turmaric and garam masala powder and mix it well. Then add the cashew and coconut paste. Finally add kesar,salt, sugar, kasuri methi and the paneer mixture. Add 1 cup of milk and continue to cook on low heat for 10 minutes or till gravy is thick and nice aroma comes out of it..Keep stirring in between to prevent burning. Gently stir in the fresh cream. Serve Hot with Roti, paranthas,chapatis, naan or rice. Wow.. nice named "nawabi paneer".. Paneer is my favourite flavour.. Love to taste this dish..ummhhhh yummy !! !